Bullock & Lees’ Bournemouth office specialises in all aspects of residential and commercial property sales and lettings. We pride ourselves on providing our clients with the highest quality of service and with a level of professionalism rarely seen in the industry today. We hope that you enjoy our website and will visit it regularly. Always check here first for any new sales or letting instructions. We always put them on this website first so favourite/bookmark us today, to ensure that you don’t miss out on your next home! We are totally INDEPENDANT and therefore our only focus is to get the best price and give the best service to our customers. From our busy high street office we cover all the ‘BH’ postcode areas but focus especially on Bournemouth, Boscombe Manor, Southbourne, Boscombe East, Tuckton, West Christchurch, Littledown and Christchurch generally through to Mudeford and Highcliffe. We can also provide a full range of professional services including specialist ‘Homebuyer Reports’ and ‘Building Surveys’ and Probate/Executor Valuations. 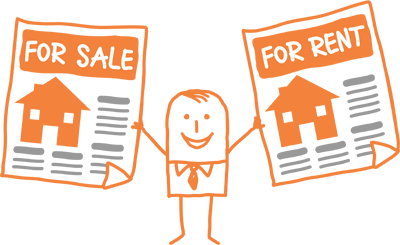 Whether you are looking to buy, sell, rent or let a property, contact our friendly team. Although primarily based in our offices in Boscombe (Bournemouth), Bullock & Lees’ reach goes far beyond with notable successful sales throughout the area from Wareham in the West through Verwood and Fordingbridge to the North and even to the other side of Lymington in the East. This versality comes from our extensive internet presence not just through our website that you are reading here but from our presence on www.rightmove.co.uk, www.zoopla.co.uk and www.primelocation.com which ensures that we cover 98% of UK internet searches rather than agents that just use one of these internet sources. Our Boscombe office based on Christchurch Road covers the central areas of Lansdowne, Eastcliff and Springbourne through Boscombe Spa, Pokesdown, Boscombe East and Boscombe Manor, through to Castle Dean and Southbourne, Tuckton and Hengistbury Head. We cover all areas of Christchurch – from the North/Eastern side of the River Stour from Iford and West Christchurch, right the way through Jumpers and Christchurch Town Centre, through Purewell and on through to Somerford, Mudeford, Friars Cliff and Highcliffe.